Sophie joins the Coaches Across Continents On Field Team. Oct 19th, 2012: Coaches Across Continents announces that Sophie Legros will be the project leader in our new 2013 Monitoring and Evaluation program as well as working with our local community partners and coaches to design their adaptable ‘Football for Social Impact’ curriculum. Sophie is a former Harvard University player who is currently playing professionally in France. 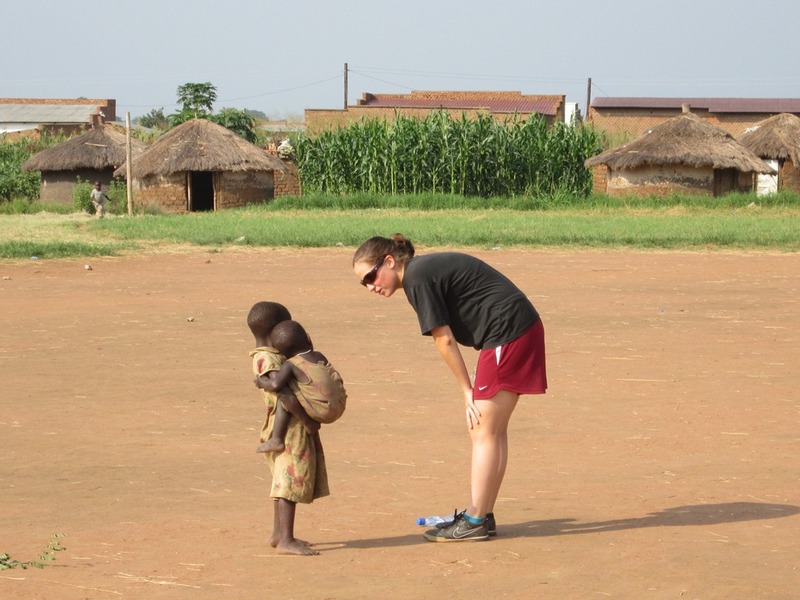 Sophie has 4 years experience with Coaches Across Continents having worked in Malawi, Uganda, South Africa, Namibia, Botswana and Kenya. “We are absolutely delighted that Sophie will be a leader in our On Field team. She is an incredibly intelligent, thoughtful and dedicated young woman who has worked with some of our more challenging community partners, including 3 years with former child soldiers in Uganda. M and E is a very important part of measuring our impact and in the past 4 years she has played a key role in developing our WISER Monitoring and Evaluation system and building our Female Empowerment/Gender Equality module.” Christian Aviza, Coaches Across Continents Board Member. Sophie has designed the 2013 Coaches Across Continents on-line education system and is working with our On Field Strategist, Brian Suskiewicz on our new ‘99 Game Hat-Trick Initiative /Chance to Choice Curriculum’. She is also a key member of our Goal On Field Initiative. Congratulations Sophie! Very happy for you and how lucky for CAC! All the best.